Faced with the combined effects of climate change, increasing urbanisation, greater housing density on new developments and a growing population, the Government has introduced a requirement for Sustainable Urban Drainage Systems or SUDS. SUDS is concerned with helping the environment by adopting a sustainable and responsible approach to water management in order to reduce the risk of flooding and enhance water quality. The problem has been building for decades with the construction of impermeable surfaces for roads, car parks, pedestrian areas and driveways which have directed surface rainwater in to old fashioned urban storm water drainage systems. 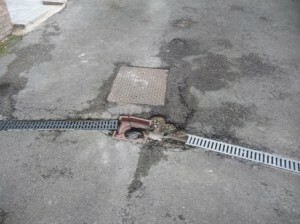 Most of these drainage systems were constructed in Victorian times and are not only in poor repair but also are very often overwhelmed by the volume of rainwater runoff from impermeable surfaces. This results in the flooding of roads, driveways, gardens and sometimes homes causing urban disruption, environmental damage and cost. The situation will only get worse if no action is taken to mitigate flood risks. The problem is so bad in some regions that home owners are struggling to obtain house insurance to cover damage caused by localised flooding. There is also much discussion about the risks associated with building new homes in potential flood areas or near to rivers and new housing developments are now subject to risk assessment in this regard. Adopting a responsible and sustainable approach to water management generally and surface drainage specifically is now such a major concern of Government that regulations and planning laws have already been introduced to help deal with the problem. The first of these, the 2008 Front Garden Rules was introduced after the Pitt Review which studied the summer floods of 2007. Pitt issued a number of recommendations for controls over the paving and drainage of domestic front gardens and driveways which resulted in a change to planning laws. These changes are outlined on our Planning Permission Driveways page but it should be noted that the situation will develop as time goes on, with more and more regulation. With this in mind we would advise anyone who is considering installing a new driveway or patio to consult their local planning office for more information on the latest planning laws. They should also consider installing permeable block paving or permeable tarmacadam. The Flood Water Management Act 2010 which is expected to come into effect during 2012 effectively makes SUDS mandatory by introducing legislation to address water quality and scarcity, water flow and the threat of flooding. 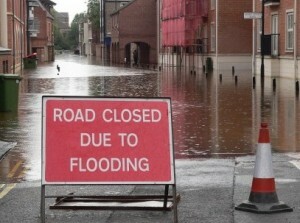 Local Authorities will be responsible for developing flood risk management strategies which will include ensuring that all new developments have sustainable drainage systems. And those that don’t won’t be allowed to be connected to public sewer systems. The Act will apply to all construction work which affects the ability of the land to absorb rainwater, not just that to the front of the property. This will include impermeable paving wherever you intend to install it on your land. However, as with the planning regulations introduced in 2008 which relate only to front gardens, where rainwater is managed properly, i.e., collected, stored and dissipated within the curtilage, or boundaries of the property, the new paving installation will be exempt from the Act. Although permeable tarmacadam is available, it is the concrete block paving industry which has done most to come up with solutions to the problem of impermeable paving. 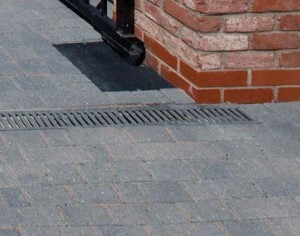 The page of this website entitled Permeable Block Paving outlines the various methods which can be adopted to ensure compliance with SUDS legislation.